While to some it may seem relatively minor, this is a very significant development for the advancement of accountability in public funds. It is another step in moving away from the old totalitarian communist system, where only those at the top had insight into the expenditure of public funds, and closer to full democracy. Croatia’s government on 30 January 2014 has approved the new Accounting Act for non-profit organisations/ perhaps one could say it is a compliment to the Associations Act well known throughout Western democracies. The Act will require non-profit organisations to submit regular income and expenditure and asset reports to the Finance Ministry, including the Catholic Church. NGO’s are set to be forced out of their comfort zone, which to date had meant that little, if any, accountability measures enforced when it comes to acquittals of government funding. All non-profit organisations with revenues more than 1.2 million euros per year will have to face audit reports as well, Finance Minister Slavko Linic said. To my liking and to the standards applied in Western democracies, with their government funded organisations the 1.2 million euros seems a most generous benchmark and should be lowered significantly. “The aim is to introduce transparency in the operation of all civilian organisations, regardless of whether it is sports, church or some other companies,” Linic told reporters on January 31st. Minister Linic has also stated that non-profit associations that achieve an annual trade greater than 230,000 kunas (30,000 euro) will need to form a trading company or some other form of association that is not non-profit. The reactions to the new requirements for Regular Income and Expenditure reports and Audit Report requirement has caused quite a stir in Croatia over the past fortnight. Some are against it and criticise it, and others are for it. But most seem to see this move as the introduction of new taxes and a new way to fill the collapsing government budget. GONG’s (an NGO) executive director Dragan Zelic, while in essence supporting the transparency of non-profit sector operations, stated that the new Act needs refining, that “it’s not in keeping with the strategy of stimulating social entrepreneurship because the work of non-profit associations that employ a significant number of people will be made more difficult…”. While it may be that the new Act needs refining, it’s difficult to see how the number of employees would make the NGO’s work more difficult – all it can do is take a longer time to prepare reports but not to the levels of hardships as any extra work would surely be factored into an affected NGO’s budget. According to SEtimes portal, the parliamentary opposition condemned the announcement of church taxation, saying that the Catholic Church is a force for stability in Croatian society. “The church gathers people and she is credited for Croatian history, and I think this is some kind of further ranting which is completely unnecessary,” said HDZ’s leader Tomislav Karamarko. Wherever we turn in the world, the debate as to whether the church/religious institutions should pay taxes is as old as the taxation system itself. So, Croatia is no different. However, it is customary in Western democracies or legal systems to say that a non-profit organisation can still make a profit, but this profit must be used to carry out its purposes and must not be distributed to owners, members or other private people. Any profit made by the non-profit organisation goes back into the operation of the organisation to carry out its purposes and is not distributed to any of its members. Hence, tax exemptions and/or tax concessions come into play. They should stop financing all the NGOs from state budget because the people are paying for that, many NGOs have no purpose and work against Croatia. Yes Ina it can go that way too. I’m mostly associated with the veterans’ associations of which there are a thousand or more, instead of being just one, and finances to those associations that work against Croatia should be pulled straight away. It’s very concerning to hear that so many associations exist for veterans’ affairs, Zvonko B, however I believe that one would not be enough, at least one for every region say that encompasses an electoral district might be an adequate coverage given the wide span of services that are relevant…and yes, those that work against Croatia should have the plug pulled out of them. Co-financing NGO’s is the only just key for any help to NGOs. The parasites who exclusively depend on the state budget have never done anything good for anybody. The private sector has always proven to de more effective in service delivery, fee for service sector, and there’s nothing that cannot be found on offer today. Those are my views when it comes to the question of relationship between NGOs and public funds. Hooray! How about applying this to the government? On another note, Ina, is there any possibility that you might blog about the protests in Bosnia? Yes there is a great possibility regarding blogging on protests in Bosnia, Racunovodstvo, have been on the case watching and following for few days now. Rainy days lie ahead for GOLJUP, HaHaOhhhh, BaBe(tine), Centar za Mir i Nenasilje and other sham NGO fronts. 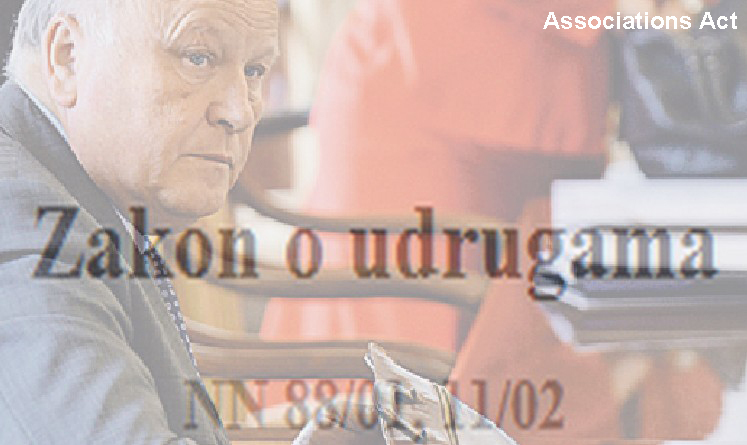 It must be noted that the discredited (and ultimately, ICTY stricken from being submitted into testimony due to blatant contradictions, inconsistencies and bold faced lies) “evidence” provided by Croatian Spring trial regime witness / JNA front party (UJDI) Zarko Puhovski was funded by Western intelligence agencies and Croatia’s government. I can’t believe it, but the government has actually done two positive things for Croatia – Milanovic went to Mostar and now this. I don’t expect any more positives in the short or long term from them, but I will take what I can get.